Nice initiative on the three Alpine A-Class associations to run together their Nats at Lake Constance on 17-20 organized by the Yacht Club Rheindelta and the Austrian Assoc. Image from the great A-Class Shortfilm by Johannes Obermaier and produced by Catarina Jentzsch for the German A-Class. 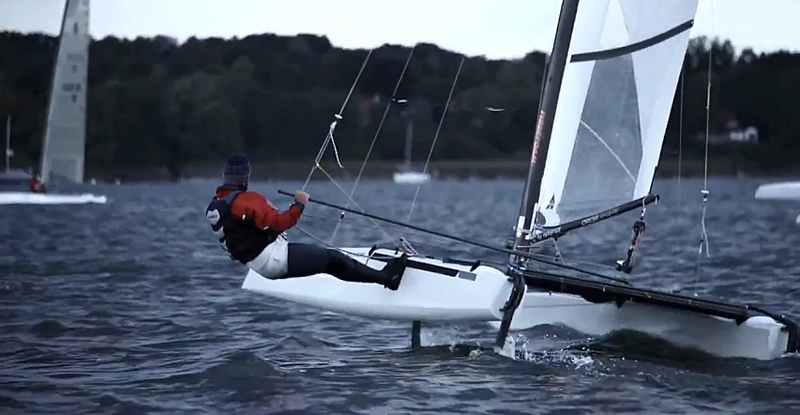 If you haven't seen it yet do it now , as it is the best sailing short film ever made. Thursday 16.05.2013 03:00 p.m. to 08:00 p.m.
Friday 17.05.2013 09:00 a.m. to 11:00 a.m.
Twelve (12) races are scheduled for the regatta. The Organization Authority and/or the Race Committee reserve the right to modify the schedule according to prevailing weather conditions and/or other unforeseen circumstances. There will be no more races after Monday 02:00 p.m. if 4 races have been completed.